Maritzburg United have a tough assignment ahead as they prepare to take on Mamelodi Sundowns at the Lucas Moripe Stadium on Saturday 31 October. The Absa Premiership fixture kicks off at 20H15 in Attridgeville, Pretoria. 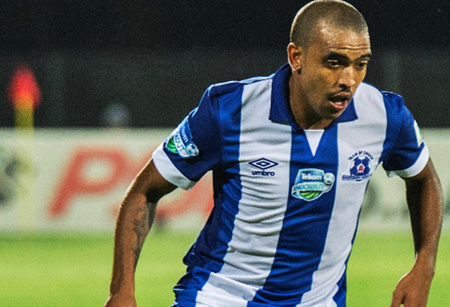 Maritzburg go into the game on the back of a 2-0 defeat to Chippa United in the league (and a 2-0 loss to Pirates in the TKO), the Team of Choice still in search of their first win of the season as they occupy 16th spot. Sundowns head into the match having drawn 0-0 with Polokwane City, having won three successive games before that. Downs are in fifth position on the standings. The two clubs have engaged in battle on 18 previous occasions in the league, the Brazilians leading with 12 wins compared to three for United, while three matches have been drawn. Maritzburg have beaten Sundowns just once away from home in nine attempts, while last season’s corresponding fixtures saw a 2-2 draw in Tshwane and a 1-2 reverse for Maritzburg at the Harry Gwala Stadium. Sundowns’ line-up from their 0-0 draw with Polokwane: Sandilands, Mashaba, Arendse, Nthethe, Mphahlele, Kekana (Modise 77'), Zungu, Ngele (Laffor 55'), Dolly, Billiat, Castro (Mashego 65'). Maritzburg’s line-up from their 2-0 loss to Chippa: Salie (Vries 41’), Mngonyama, Pantsil, P. Zulu, Lentjies, Shai, De Jong, Hartog, Onyango (Booysen 64’), Mekoa, Anas (Rusike 57’). United back in business with TKO win!